Dance has always been prominent in my life: my mother was a professional ballet dancer so I have been awestruck by dancers for as long as I can remember. I suppose it was a foregone conclusion that I would gravitate towards dance photography. It has become one of my favorite genres to photograph. At every NYC dance shoot, I am bowled over by how dancers make their movements look so effortless, even with the incredible amount of coordination and power they put in every step. It boggles my mind, and I feel so lucky I get to work with dancers. Alden, a talented young dancer from Texas, came to New York City for a summer dance intensive at Joffrey. Every summer, accomplished dancers from all over the country come to NYC to take part in highly competitive dance intensives hosted by some of the world’s best dance companies. The intensives are rigorous training courses, offered in several different dance forms. I love it because it means I get to meet dancers from all over the world who have travelled to the City. Dance photographers NYC have the unique opportunity to help them document their time here. Check out what Alden described as her “signature move” on the crosswalk. She defies gravity on one foot, with her arms and head thrown elegantly behind her! What an amazing dancer. I’m always so impressed when I meet young people who are so focused and hardworking. Alden was full of laughs, and very spirited and polite. I love the range of interests and personalities I encounter as a kids dance photographer. Alden is upbeat and hard-working. I love the grace and humor in her images. We had a great time at her shoot. For her session, we chose the streets of uptown Manhattan as an unexpected location. Thank you Alden for sharing your talents and enthusiasm with me! I love New York City dance photography because all of the hustle and bustle creates a lively vibe, and the diverse architecture of the surrounding buildings gives some unique texture and depth to the shots. I really think that the fast-paced atmosphere is more fun for the dancers, too. Even long-time professional dancers have fun taking a flying leap over the striped crosswalk as I capture them mid-air! We typically do a mix of dance images, as well as a few headshots. Dancers ofter request headshots to use when applying to schools, and dance companies, etc, and to share on social media. As one of the premiere Dance Photographers NYC, my passion lies in capturing yours. Just look at this gorgeous tiny dancer! I would love to discuss your photography needs and help document this beautiful time in your life. Daisy Beatty is a portrait photographer based in Manhattan NYC and East Hampton, NY. She works out of her Greenwich Village portrait studio, and on location in NYC, Greenwich CT, Hoboken, NJ, Westchester NY, and the Hamptons. 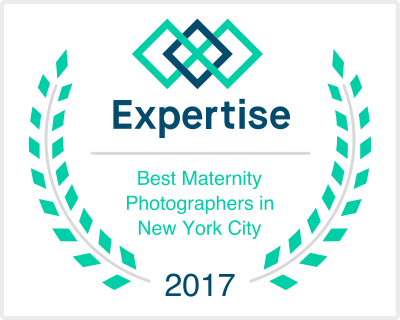 She specializes in vibrant, stylish portraits of dancers, families, children, maternity, and newborns, as well as winning headshots for children and adults. For more information, please visit her website, or contact her directly.